Scientists at the University of Liverpool have found that outbreaks of plague in Madagascar are linked to a naturally occurring climate event in the tropical Pacific. The El Niño Southern Oscillation (ENSO) is an ocean-atmosphere fluctuation of air pressure and sea surface temperature that occurs thousands of miles distant in the Pacific Ocean. The team have shown that large outbreaks of plague tend to coincide with the timing of ENSO events. Analysing a unique 48-year dataset on the occurrence of human plague across the island, they found that for much of this period, ENSO cycled on a two to five year time scale, with a similar period being detected for plague outbreaks. 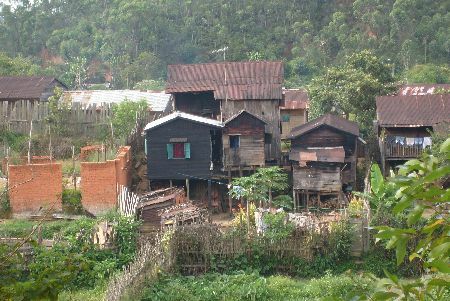 Professor Matthew Baylis, from the University’s Institute of Infection and Global Health, said: “The work is a first step in using climate data to help predict human plague incidence in Madagascar. Larger plague outbreaks were associated with increasing El Niño conditions. An association, although less strong than El Niño, was also found between the Indian Ocean Dipole or IOD – a local fluctuation in sea surface temperatures – and plague. These ENSO and IOD associations appear to be mediated mostly by effects on Madagascar’s temperature patterns, although larger plague outbreaks were also associated with rainy years. Professor Baylis said: “The global burden of plague is now low, but in recent years the disease has increased in frequency in some parts of the world. Presently Africa accounts for more than nine-tenths, and Madagascar one-third, of all human plague cases reported worldwide. The study also highlighted that major ENSO and IOD events, occurring every few years in an irregular pattern, tended to alter the temperature and rainfall of Madagascar. This can have significant effects on the populations of rodents that carry plague on the island, as well as the fleas that spread the infection.